Interesting plants deserve interesting pots. Reinvent the flowerpot with new shapes, colors, finishes, materials, and textures, the better to turn just about any kind of space, indoors or out, into a garden. There's so much to choose from if you're shopping, and additional choices of pots you can make or remake at home. Containers can hang, perch on feet, or rest on the ground or floor. They come in an array of materials, natural and man-made. Go online to Pinterest.com and other sites for great ideas from around the world. When making your selection, consider the look you want, as well as other factors. Some materials, like terra cotta, need frost protection in winter, but others, like cast concrete, are much more weatherproof, good for evergreens and hardy plants that stay outside year round. There are many antique containers to be found for container gardening was popular all through the Victorian era. Any that have lasted this long will continue to be durable. Choose containers that relate to the materials in their surroundings, and to the style of architecture. Clay, wood, and stone fit in just about anywhere. Shapes can be simple or elaborate, but should be as formal or informal as their setting. 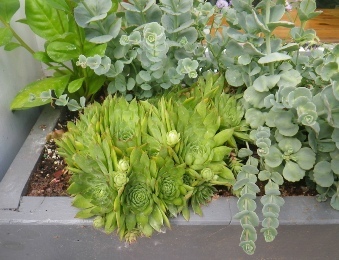 Improvised containers such as a galvanized watering can used for growing a fern, or a child's outgrown wagon filled with flowers in small pots can be witty features. Make sure there's a drainage hole in every offbeat container. Go for weatherproof containers whenever you can. Add colorful plants and interesting accents to your garden, even if it is small. Express yourself with color and form and change the plantings whenever you are in the mood. 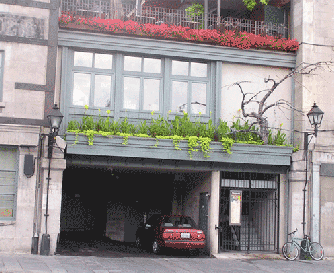 Grow plants in containers on paved areas, on root-filled soil under trees, and in window boxes. Garden without so much stooping over (ouch!) by using large tubs or raised beds.Grow plants that require special soil or conditions, or that would be overrun by stronger, larger plants in the garden. Grow herbs and vegetables in any sunny spot, even if it is paved. Vegetables need constantly moist, fertile potting soil. 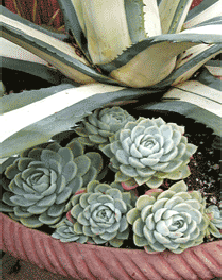 If plants wilt a few hours after watering, they need bigger pots. The roots are filling so much space there is no room for the soil to store moisture. Also, sweep around under the pots now and then to capture mealybugs or other little pests.